Even if most high dynamic range photos on Flickr make you want to barf, it's still incredibly useful for creating images that match what the naked eye sees. 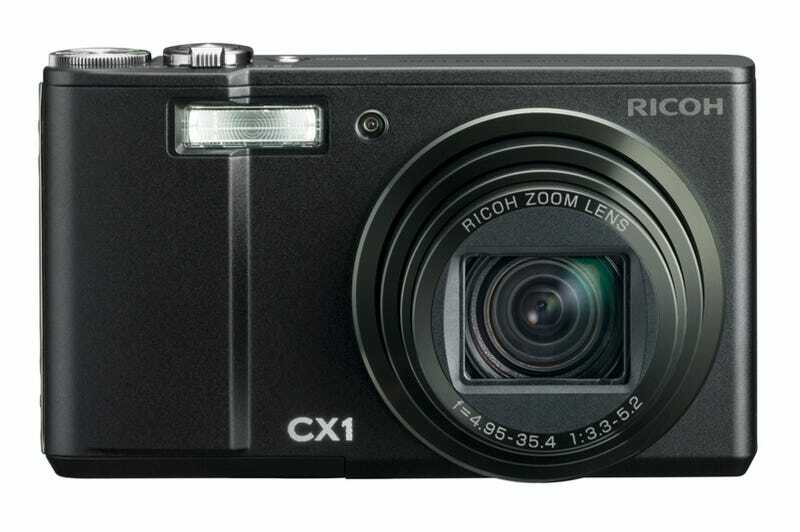 The Ricoh CX1 does HDR images in-camera. It's not the first (a few Pentax DSLRs do it, the K20 and K200) but it may very well be the first point-and-shoot to offer in-camera HDR (high dynamic range) processing. HDR works by taking multiple exposures back-to-back (the Ricoh does two) of a difficultly-lit scene, one where there is a wide range between the brightest and darkest areas. Your eye, because it's awesome, can sort all this out on its own, but a digital camera's sensor can't. So what HDR does is blend the correctly exposed parts from each image into one shot which more closely matches what your naked eye is seeing. Generally it takes Photoshop or specialized software to merge your own manually bracketed shots into an HDR image, but the Ricoh does it automagically. The technique can be pushed to extremes for horrifically gaudy results (see here if you don't believe me), but when done right, it's truly valuable to make the most out of difficult exposure situations. The Ricoh has four HDR strength settings so you can go for more subtle merges.